Sometimes posting a message isn't necessary, and you want to chat in real time. Campfire is the place to be! Every Project, Team, and HQ has its own Campfire room. 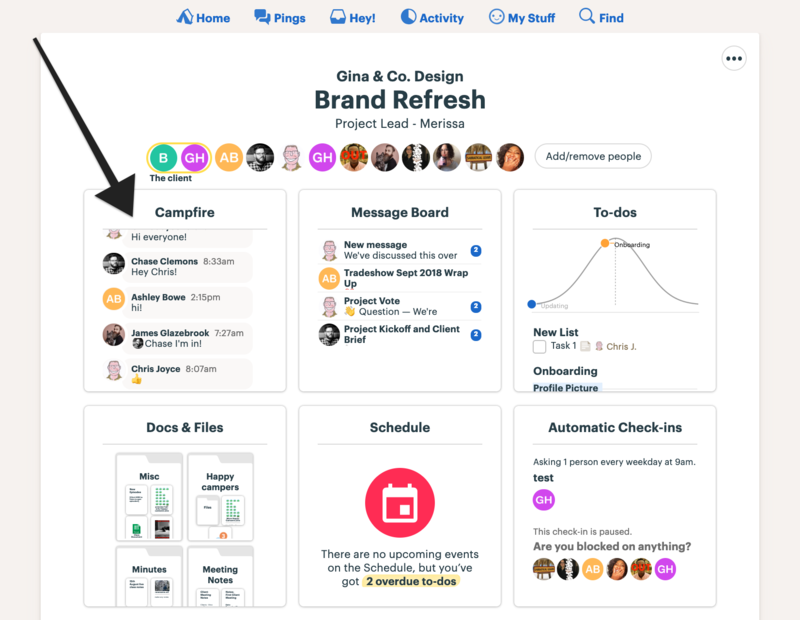 To enter a Campfire, open the Project (or Team or HQ) and click on the Campfire tool. Scroll up in a chat window to view what you missed. When you want to add a comment, type your text at the bottom of the window and hit enter. 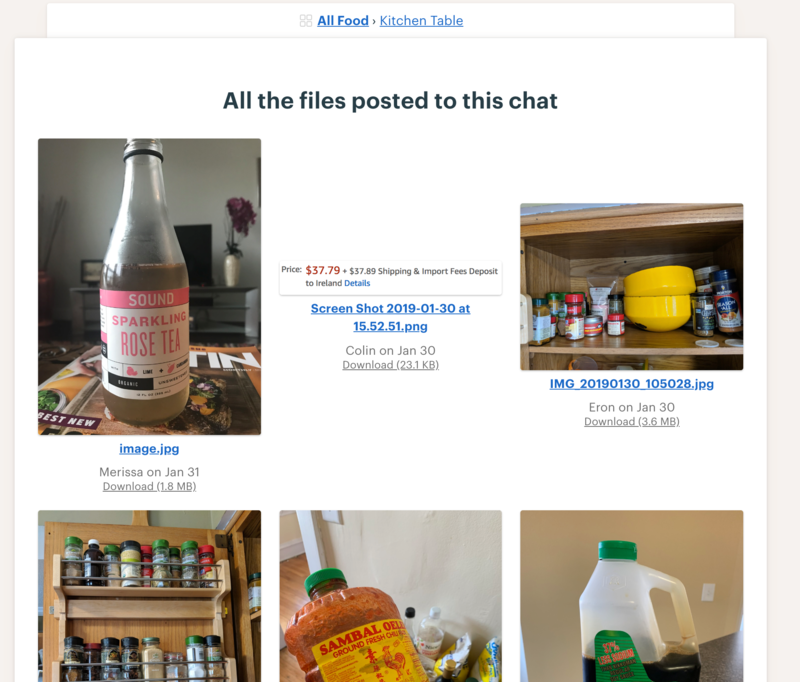 You can also drag and drop saved images, or paste image URLs into a chat line — perfect for all those cat and Beyoncé gifs you need to share with the team. 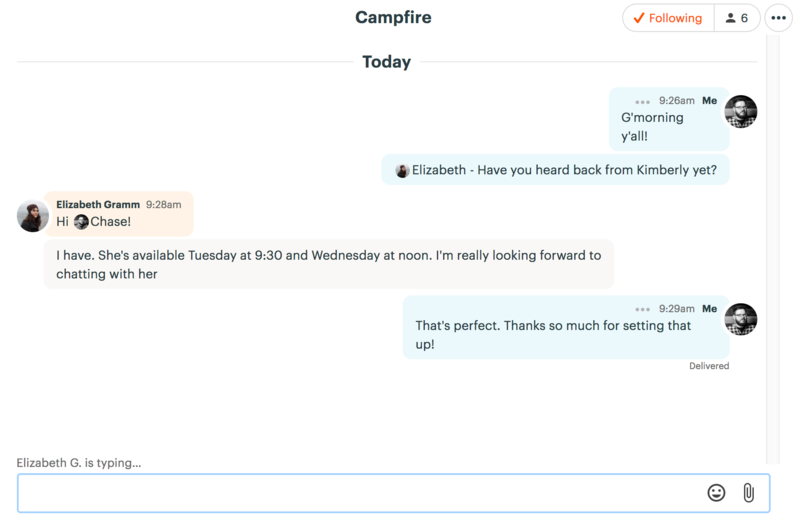 To grab someone’s attention in Campfire, you can @mention them by typing the @ symbol followed by their name. They’ll receive a notification for the mention. To stay current in specific Campfires, click Follow at the top right of the window. To see all the files posted in a Campfire, look for the ••• menu in the upper right corner of that Campfire. You'll then be able to browse everything uploaded to that particular Campfire! If you need to delete a post, click on "•••" next to the time stamp above your post. A red trash can will appear next to your post! Click on that to delete the post. Note: you can only delete your own posts. Your posts will disappear from everyone's view.